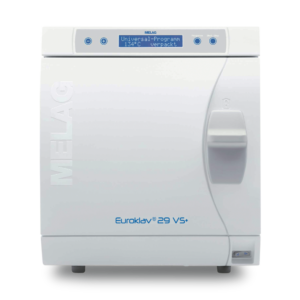 The bigger sterilisation chamber (45 cm, 22 litre volume) and the vacuum pump’s water-cooling system make the Vacuklav 44 B+ an ideal autoclave for all practices who wish to sterilise many instruments in a short time. 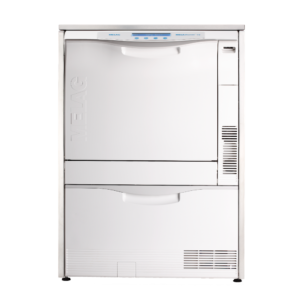 Up to 7 kg wrapped instruments can be sterilised in the “Class B” program in a record time of approx. 30 minutes, including fractional pre-vacuum and drying. For higher loads with up to 9 kg, the additional drying can be activated when required. 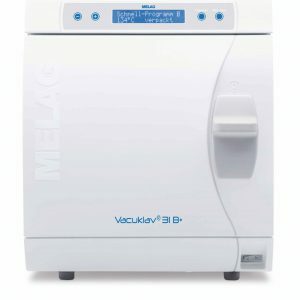 For unwrapped or maximum 1.5 kg wrapped instruments, the Vacuklav 44 B+ offers the fast program “B” with only 19 minutes of drying time included or for unpacked instruments the Quick-Program “S” which is only 10 minutes in duration. 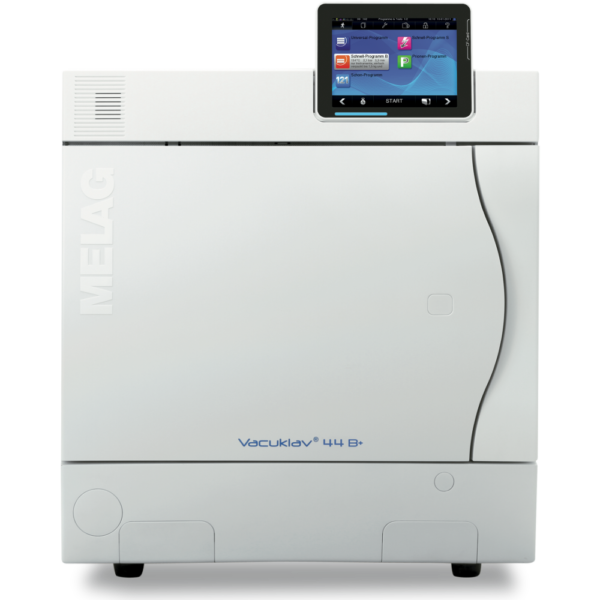 The innovative colour-touch display of the Vacuklav 44 B+ prevents user error, all menus are self-explanatory and intuitive. The software which is already integrated into the device is of great benefit for the approval, identification and tracking of sterilised instruments. It saves time and reduces the costs of having to obtain additional software and hardware.